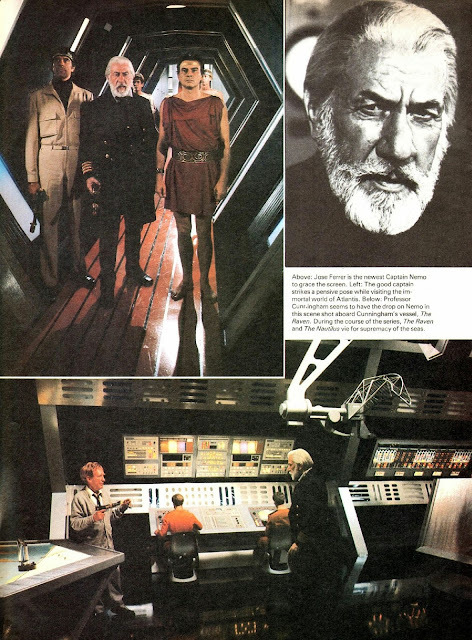 The Master of Disaster, Irwin Allen, returned to TV for this apparently long-forgotten 1978 US mini-series which - like so many other productions of the period - was more than a little inspired by the success of STAR WARS. 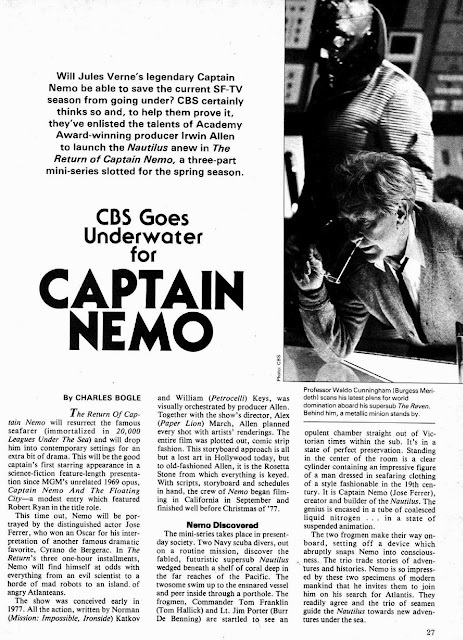 THE RETURN OF CAPTAIN NEMO saw Verne's Captain (Jose Ferrer), and his super-sub the Nautilus, found submerged and pressed into US government service when bonkers scientist (with a crew of disco-era robotic minions) Professor Cunningham (the Penguin himself, Burgess Meredith) tries to hold the world to ransom. This finally crossed the Atlantic on 13 April 1981 when it belatedly aired on BBC ONE. As a kid, I really enjoyed it but - as an adult - it's possible to spot some of the shortcomings. Regardless, it's still great fun. It received a UK VHS rental release which I found - and bought - in one of those fly-by-night pop-up stores which seemed to be shifting a warehouse full of old tapes. 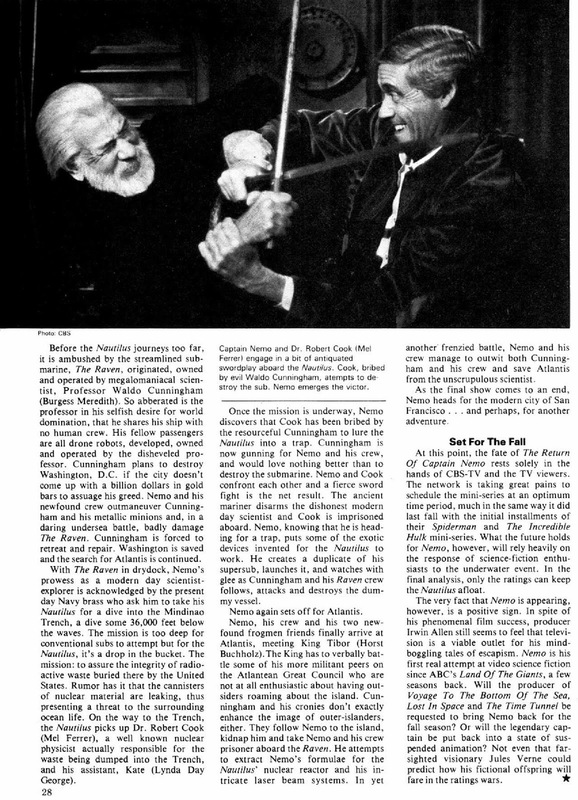 There was never, as far as I know, a sell-through edition. More recently, it's been added to theWarner Brothers manufacture-on-demand DVD label in the US. 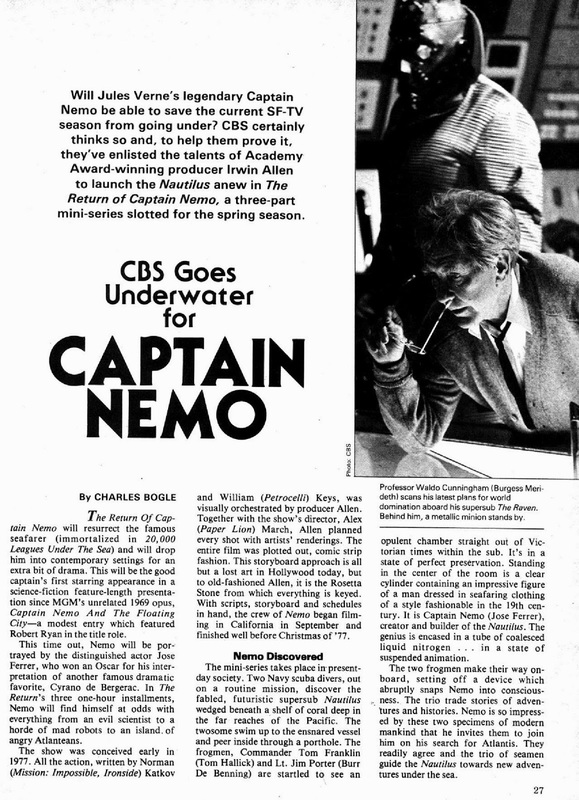 This article came from STARLOG MAGAZINE issue 13, May 1978.